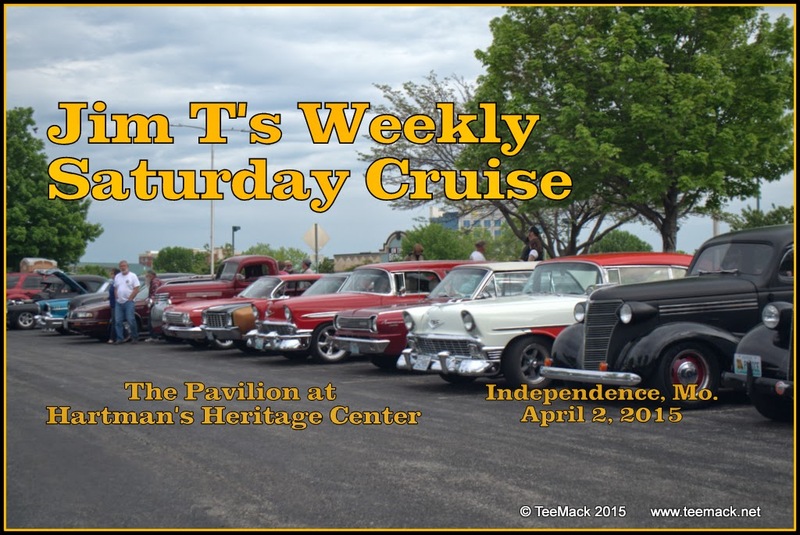 The 1st weekly Saturday Jim T's Cruise was held at the Pavilion at Hartman's Heritage Center in Independence, Missouri on May 2, 2015. It is the largest weekly cruise in, in the Kansas City area. There was about 375 Vehicles who attended the first cruise of 2015. The weather was partly cloudy all day, but near the end of the day the sun did come out and temperatures in the 70's. Click Here to view photos of the event.